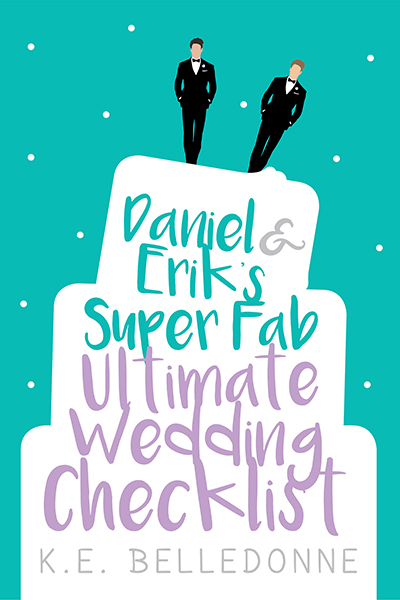 DANIEL & ERIK’S SUPER FAB ULTIMATE WEDDING CHECKLIST–Excerpt & Giveaway! Hi there! 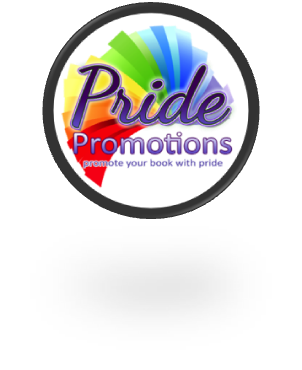 I’m so excited to highlight a new contemporary M/M romance from K.E. Belledonne. DANIEL & ERIK’S SUPER FAB ULTIMATE WEDDING CHECKLIST is sure to charm. Be sure to drop down and check out the excerpt and get in on the giveaway for a $25 Interlude Press gift card, or one of 5 first prizes of an e-copy of Daniel & Erik’s Super Fab Ultimate Wedding Checklist!. When Daniel gets caught up in the demands of a cheeky wedding planning app, his fiancé Erik grows frustrated with his preoccupation with adhering to heterosexual traditions. Will Daniel’s groomzilla ways give them the wedding of their dreams, or ultimately lead to their relationship’s demise? “Aurora. The wedding planning app.” Daniel lay on his back, wide awake and staring up at the ceiling. “I can’t. I’m never going to sleep ever again.” Daniel tugged the blanket higher up his chest, folding his arms over it and exhaling heavily. “Oh my god, what is the point of sharing the app calendar if you’re never going to look at it?” Daniel wailed. “I told you, we could color-code them, or something,” Erik rolled to his side and punched at his pillow. “Seriously, you could just make a choice, and I’ll live with it.” Erik rolled over. “You’re going to drive us both crazy, you know that, right?” Erik tugged the blankets back up over his shoulder. “Well, then, we’ll both be crazy.” Daniel squinted up at the ceiling. He was so tired of making these decisions. Why were there so many options? Why were there so many decisions? The planning was getting on Erik’s nerves; he was getting on Erik’s nerves. Erik was getting on his nerves. They were both just a pile of irritated nerves because the to-do list didn’t seem to be getting any smaller. Daniel’s phone chimed with another notification from Aurora. New Private Message from: MommyMargie. His mother probably had another ludicrous suggestion for the reception, or a passive-aggressive reminder of the hymn that she and his father had had played at their wedding, that their grandparents had had played at their wedding and that she expected to hear at his wedding. Or maybe his parents had decided to paint the living room green. Who knew? Is there a character in your books that you can’t stand? And what makes them someone you don’t like? Honestly, I don’t write characters that I don’t genuinely like in one way or another. The antagonist in this story is a Swedish woman named Annika, and she’s not an awful person – she’s just more abrupt with her opinions than Daniel (and his friends) are used to, and she doesn’t really care if you agree with her or not. She’s difficult for the Americans to get to know and to appreciate, but she’s not a “bad guy”. I love Annika just as much as I love all the other characters. Is there message in your novel that you hope readers grasp? One theme that I hope come through, but that I tried not to beat my readers over the head with was that of identity – how much do we let other people influence what we, ourselves, define as our own identity, and whom do we allow, or choose, to do so. Daniel thinks that he’s been forging his own path and identity, but it becomes clear that he has been doing many things that he feels are “expected” of him, even as he thinks he’s been rebelling the conventions he grew up with. Interested? You can find DANIEL & ERIK’S SUPER FAB ULTIMATE WEDDING CHECKLIST on Goodreads, Interlude Press, Amazon, Barnes & Noble, iTunes, AllRomance, and Indiebound. Click on this a Rafflecopter giveaway for your chance to win a $25 Interlude Press gift card, or one of 5 first prizes of an e-copy of Daniel & Erik’s Super Fab Ultimate Wedding Checklist! K.E. Belledonne is a writer, editor and translator. A native New Englander, Kat spends her spare time listening to Glenn Miller records, reading history books and cheering on her beloved Red Sox. Her first novel, Right Here Waiting, was published by Interlude Press in 2015. Catch up to Ms. Belledonne on her blog, Facebook, twitter and Pinterest. Thanks so much for having me here today! I’ll check back in throughout the day in case any readers out there have any questions or comments!